Most women show age around their neck before they do on their faces. It can start with little dry patches, thinning skin, wrinkles and loss of firmness. But Dermagist is a premier cream that will actually reverse the signs of aging skin on the neck. 1. Improving The Look of Loose Skin on the neck. One winner will receive a bottle of Dermagist Neck Restoration Cream. Good for Prevention or Restoration, you'll love the feel and smell of this delicate cream. Eye gel - I could totally use this on my eyes. I have bad dark circles. The Eye Revolution Gel -- After going through treatment for a chronic illness, I've been left looking not so great in the eye area. Could use some help. I learned you can register on their site for a $200 giveaway! This is a lot better than having to get treatments at a doctors office. I like the The Complete Rejuvenation System. I honestly didn't realize why our skin sags as we age, that it's due to levels of collagen and elastin lowering in our skin. 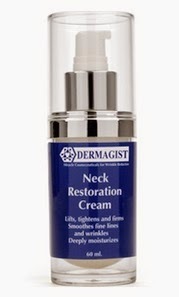 Users of Dermagist Neck Restoration Cream often use this cream on other parts of the face and body too. I learned that they provide several different facial products targeting different areas of the face as well as acne treatment products. 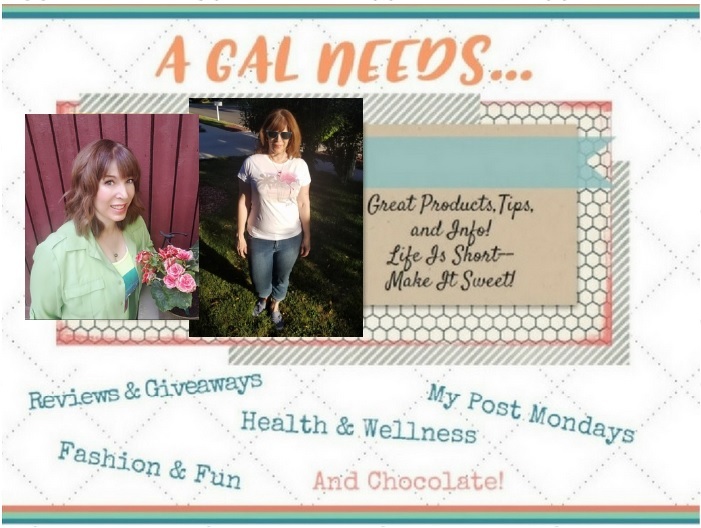 Their products are geared toward aging women/men and have a large line of great products. They have a program to save you money 35% off on recurring orders. I would like to try the Skin Tone Correcting System. I learned they have a giveaway for $200 towards anything from Dermatagist that the winner wants! I think I'm going to need the Eye Revolution Gel sooner or later because I read so much! I learned: The Eye Revolution Gel – The best of skin care products: A light yet powerful gel that glides on the eye area, and aims to reduce the appearance of dark circles, puffy bags, and wrinkles while replenishing the skin. I learned they have main topics on three of my main concerns: aging skin, acne, and daily care. The Eye REvolution gel is the product for these tired ole eyes. I like the The Ultimate Clarifying System for Acne Prone Skin. I would like to try the The Original Wrinkle Smoothing Cream. I like the Original Wrinkle Smoothing Cream. I could really use The Eye Revolution Gel especially to help with dark circles. Metahylate® is a powerful, instant, topical dermal filler complex. I like that the neck cream immediately and on long term basis tightens the loose saggy wrinkled skin. I really like the Scar System for Acne-prone Skin. I also like the Hydro-Renewal Hand Cream. another product I like is the Phenomenon Dermal Filler. I like that they list all of the ingredients up front, and have a 100% guarantee. I would also love the skin tone corrector. I would love to try the The Eye Precision System. I'm getting so many wrinkles from being in the sun all the time. I thought that the The Eye Revolution Gel sounds like a product that I would really like to try! i would like to own the skin tone corrector. I learned every ingredient was hand selected for ALSO having long term benefit to their use. I really want the The Complete Rejuvenation System. I could really use it. I am 40. I like the Complete Rejuvenation System I would love to try to see if it would do me wonders. I am interested in the Skin Tone Correcting System. I would like to try the The Phenomenon Dermal Filler. I like the The Dermal Revitalizing Agent for what it does for pores. I would like to try the Eye Revolution Gel. I like the The Eye Revolution Gel.